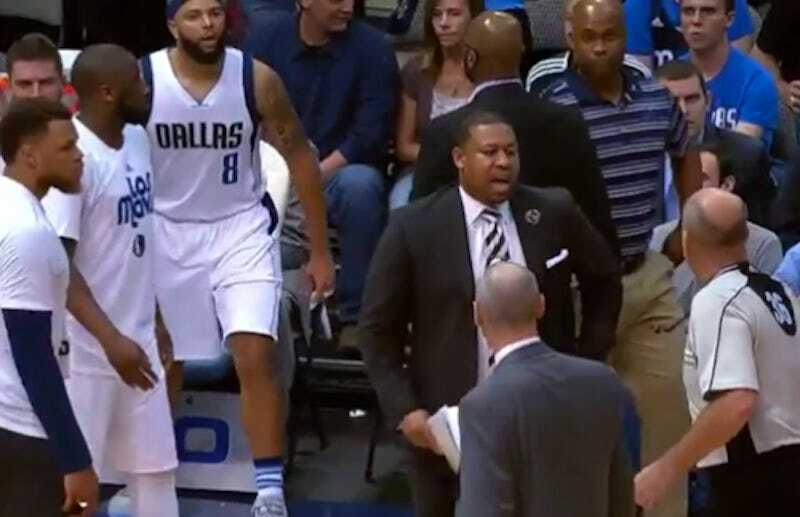 Mavericks point guard Deron Williams was given a technical foul by referee David Jones during last night’s game against the Pistons. According to Mavs head coach Rick Carlisle, the tech was only called because Jones went out of his way to bait Williams. Carlisle has good reason to be angry. It’s already hard enough for NBA players to avoid getting T’d up by referees who have itchier trigger fingers than ever, and a referee going out of his way to continue a heated conversation with a player isn’t making things any easier.